Total Three 3.5 Innovate Hockey Stick from TK Hockey in black, silver, white and turquoise; an evenly balanced stick with a late bow placement. Constructed with a careful blend of carbon, aramid and glassfibre to create an enhanced construction that results in greater potential output and increased feel. The Innovate profile is designed to offer all round assistance to a 360 degree skillset, allowing the player to perform all aspects of game play well. A precision engineered head shape creates sharper angles and reduced head thickness to further assist all areas of game play. 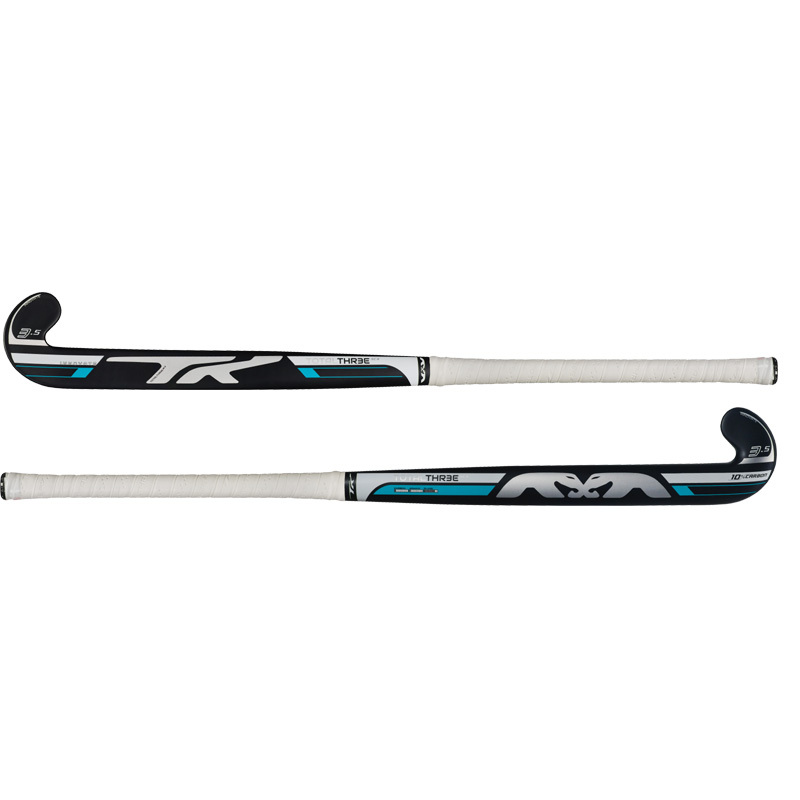 The Total Three range provides high performance sticks at affordable prices.